Located in the beautiful Okanagan Valley in British Columbia, CA, Westbank First Nation (WFN) is a self-governing First Nation and one of eight communities that comprise the Okanagan Nation Alliance. WFN is responsible for managing property tax documents for nearly 4,400 properties on WFN Lands. Laserfiche has helped streamline management of tax folio records, enabling WFN to eliminate 69 cubic feet of filing space. Previously, WFN had five floor-to-ceiling shelves containing 4,400 end tab legal size folders. Now, there are only a few small folders for processing documents that either need to be scanned weekly or mailed out to residents. Once a year, WFN issues a tax notice to each property owner, which includes information on how much property tax needs to be paid that year. Property owners may also qualify for a home owner grant that reduces the size of their property taxes. Tax notices are generated by the financial information management system used by WFN. The tax notices are scanned with Laserfiche Quick Fields before being mailed out to the property owners. Each tax notice contains a perforated section that is only filled out if the property owner qualifies for a homeowner grant. When the property owner or resident comes to pay the taxes, he tears off and submits the form if applicable. The signed form is stamped and scanned again in a batch with Laserfiche Quick Fields. In addition to tax notifications, WFN also processes proof of payments and reminder statements with Laserfiche Quick Fields. Once a document type is selected, the date and tax folio number are automatically captured with Zone OCR and Pattern Matching. 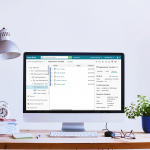 All documents related to property taxes, including tax notices, homeowner grant applications and related correspondence, are stored in Laserfiche. Both the records manager and WFN employees can see these tax documents in the way that works best for them. Individual documents are stored in separate records series making it easier for the records manager to have control over the records. WFN employees can see all of the documents together in one document packet. These document packets contain documents for multiple years, with the newest documents on top. 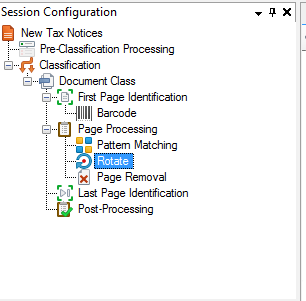 Adds the new document pages to the existing document packet for that particular property. Moves the original document to the records management section of the repository. 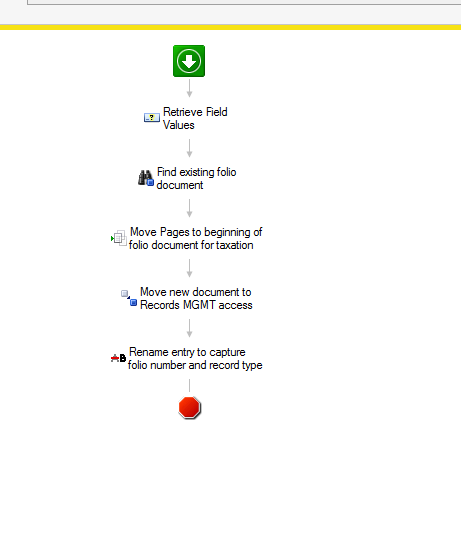 Renames the moved document to include the tax folio number and tax document type. When moving to Laserfiche, WFN decided that back scanning records that were hardly ever used would be time consuming and costly. As a result, anything that was older than two years is kept in boxes in offsite storage. WFN uses Laserfiche Quick Fields to make these hard-copy records easily searchable in Laserfiche. A spreadsheet of the years, tax folio numbers and box numbers was compiled for every box stored in the storage area. Microsoft Word Mail Merge was used to create individual Word documents for each tax folio number. These documents were scanned into Laserfiche with Quick Fields and the metadata extracted to make them searchable. 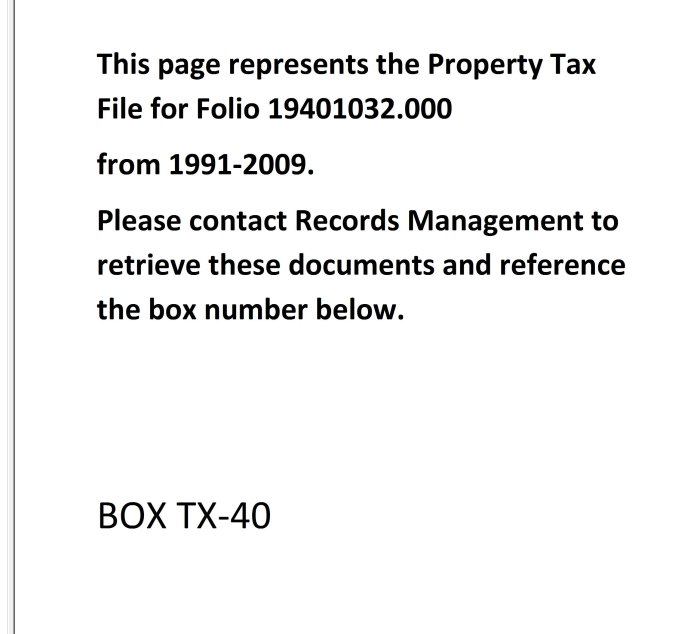 When someone searches for one of these tax documents by date or folio number, a document that contains the box number appears. The staff person is then referred to the records manager to obtain the document in question. The records manager can quickly find the required document in the records center without having to search through all the boxes. Everything related to each property tax folio is stored in a centralized location automatically, eliminating misfiling of information. Metadata allows documents to be found quickly, even those that aren’t actually stored in Laserfiche but are still stored in the records center. WFN used to print thousands of blank homeowner grant waiver forms in case someone forgot to bring it with them. This step is eliminated as now one can simply be printed on demand. Need help managing your records? Get your free Ultimate Guide to Electronic Records Management.